I haven't posted a weekend project in a while. I'm still doing them, though. 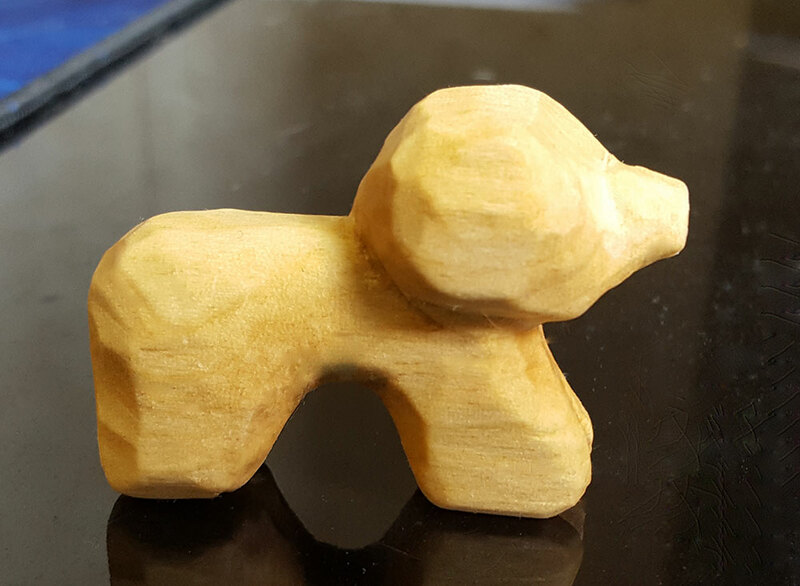 This time I decided to try my hand at carving/whittling something out of a small hunk of wood. I haven't done this in years, and I'm not great at it, but the process was fun and the result pleasing, if abstract. I don't have any pictures of the process, because this "weekend" project was actually done while on vacation.